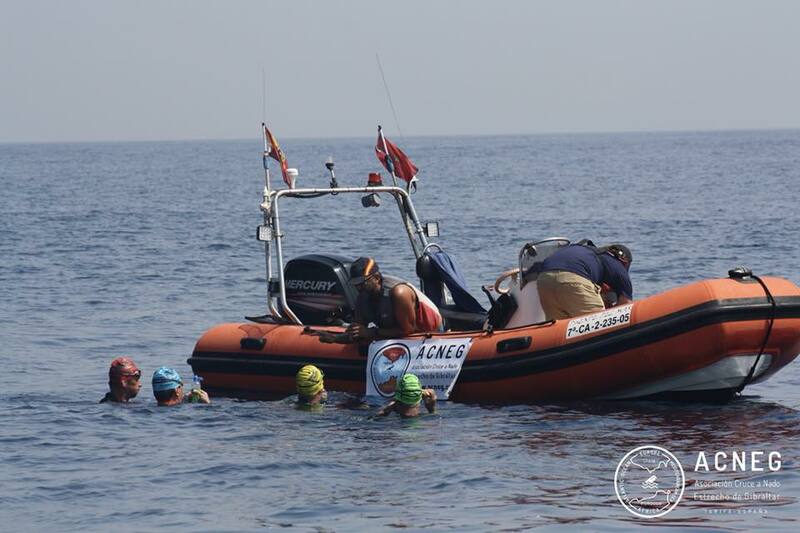 If you are thinking of training to swim across the Straits of Gibraltar, it is necessary for you to be advised and correctly informed. If you are starting out in the world of swimming, there is a long way to go, and even if you already have experience in open water swimming, you will need to train very hard for months. Strong currents that can reach 3 knots (5.5 km / h) or even more, and that, depending on their direction, can make swimming easier or even more difficult. The date of the crossing does not only depend on weather conditions, but also on strong currents. As a result, this date cannot be determined until the last minute. The water low temperature (15º in winter and 22/23º in summer) and the risk of hypothermia. Sudden changes with regard to strong winds. Heavy maritime traffic. The Straits of Gibraltar is one of the busiest shipping lanes in the world (more than 300 ships a day). 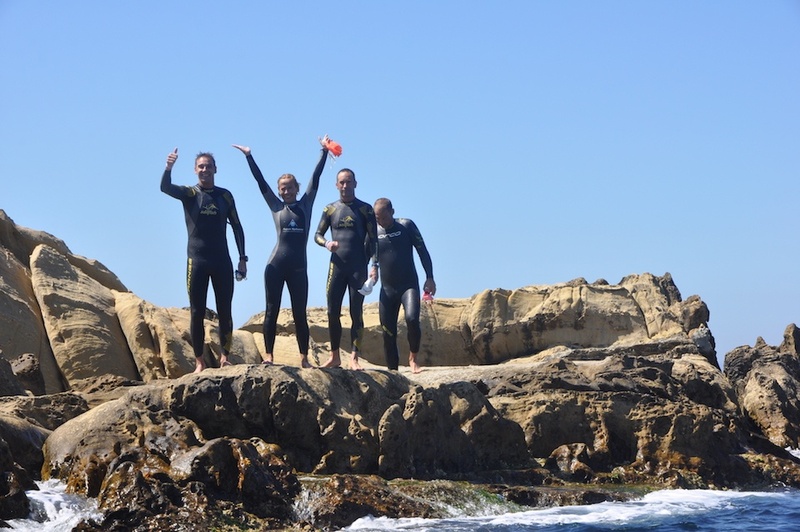 All features above make the Straits of Gibraltar to be considered as a difficult swimming location that requires a lot of experience and training. Here some of our tips. ACNEG considers that an illustrative and inspiring example could be really helpful for all those who are thinking about crossing the Strait. No better way to do it than introducing someone we consider an expert of these waters and who has swum across them 11 times. Chema López Sánchez started his “friendship” with the Straits of Gibraltar in 2007, a relationship which has lasted to the present day as Chema always comes back as a link between Europe and Africa. 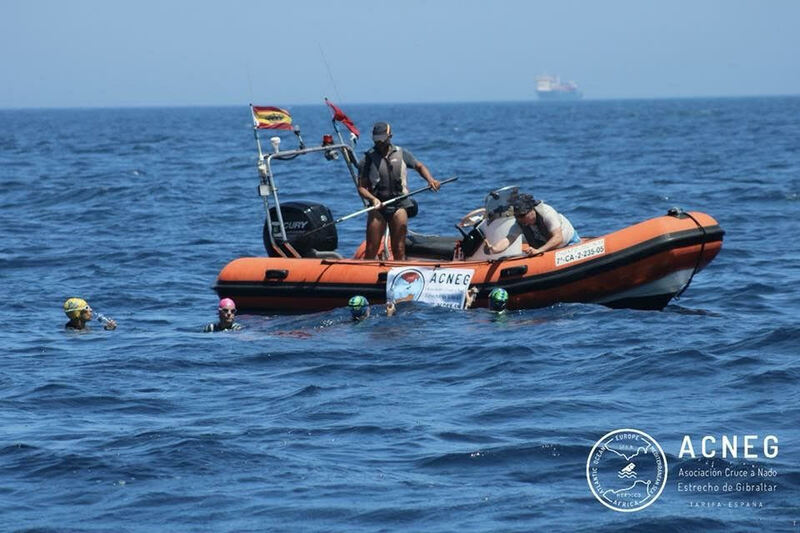 We are certain that his story can serve as an inspiration for many swimmers who are thinking about this crossing, and that his experience, knowledge and advice will be very useful for those people who would like to train swim across The Straits of Gibraltar. “I have been told that you would like to train to swim across The Strait of Gibraltar and I have been asked to tell you my story. 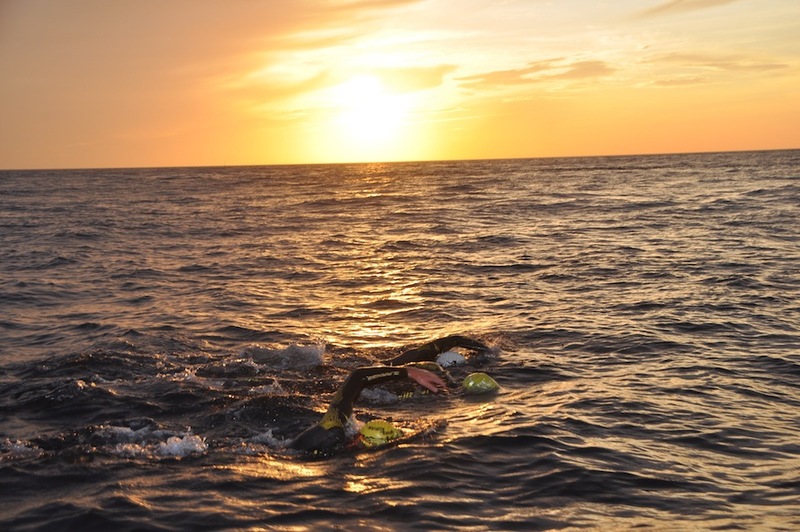 It is astonishing how the maritime border between Europe and Africa has turn into a place of pilgrimage for swimmers from all over the world who wish to take part in such an amazing crossing where two seas meet between two continents. When I decided to swim across the Strait, back in 2004, I thought it was a challenge within the reach of just few elite swimmers. I had not heard about ACNEG and I had not met the extraordinary Rafael Gutiérrez and Antonio Montiel yet. In addition, I couldn´t even swim in the swimming pool for more than two lengths without stopping and without feeling exhausted … even though I was a marathon runner. At that time, I was immersed in the training for the Marathon of Seville of 2005…. I started swimming at the end of 2004 and in a month I could get, really slowly, about 2000 meters. Little by little, I improved the distance and speed, mainly due to my technical improvement. In 2006 I found out about ACNEG and contacted Rafael Gutiérrez; I wanted to cross in 2007, or at least to have a go. After finishing the Marathon of Las Arenas in April 2006, I focused on swimming and on my first crossings: Tabarca-Santa Pola in July, which at that time was not the madness which is today, and La Bocaina (Lanzarote-Fuerteventura) in October, at a time when places were not crowded and people were surprised about swimmers who came from the Peninsula. These first crossings were an essential part of my training for my first crossing of the Straits. Looking back, I now think it is necessary or advisable to finish at least two long crossings, one of them of about 10-12 km distance. 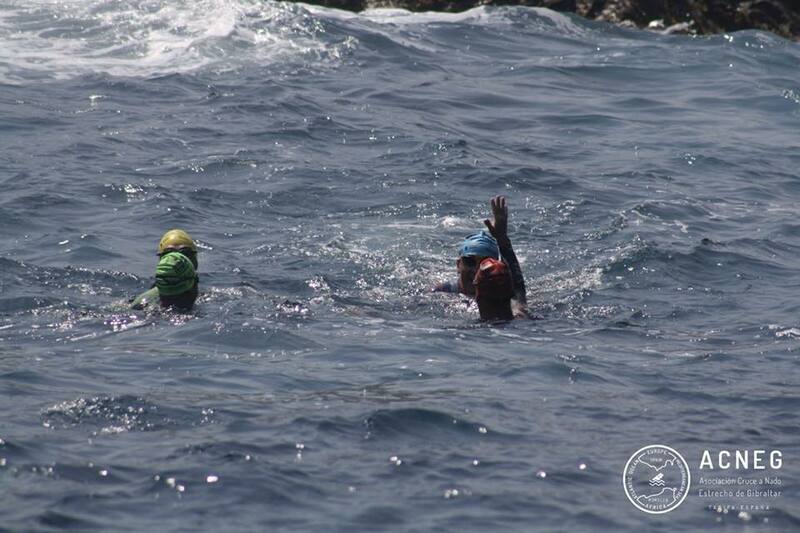 Do not try to turn your crossing into an epic issue; you have to enjoy with all senses while you swim between the Atlantic and the Mediterranean. Since then, I have taken part in many crossings and I am very keen on the long ones: Santa Faz, Tabarca-Santa Pola, La Bocaina, Cíes Islands, La Coruña, Valle de Iruelas, Batalla del Rande, Santillana del Mar, Rota, Lago de Orta (in Italy) etc. (WORLD MARATHON SWIM CALENDAR), without missing my annual appointment with the Straits of Gibraltar, which continues to be as special as the first time. 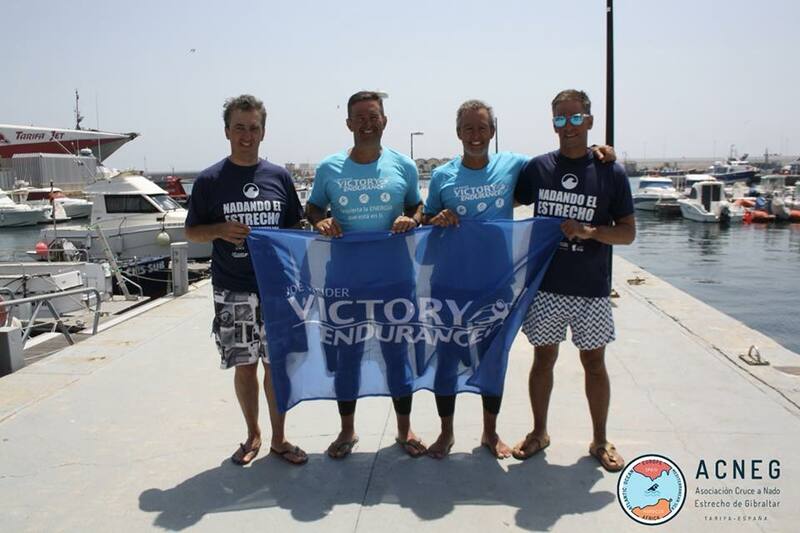 I have taken part in them with no aim of achieving any personal best, but with the aim of enjoying an exceptional crossing where, thanks to ACNEG professional work, you can enjoy each stroke until you hear the voices of Antonio and Fernando encouraging you to reach the African coast. Now that we are talking about training, let me tell you that physical training is as important as mental train to swim across the Straits. Swimming the Straits of Gibraltar can be either the most pleasant crossing or the hardest one. I cannot forget the first crossing when the favorable conditions made us achieve the second best time, the second crossing when the sea was as smooth as oil and no wind blowing, the tenth with calm sea conditions in a quiet afternoon in late July, the fourth with a northwesterly wind and the huge waves of the groundswell due to the east wind storm which ended just a few hours before we got into the water and the current against us that kept us swimming without almost moving forward, which also occurred near the Moroccan coast, during the third, sixth and ninth crossing. Mental preparation to swim across the Strait of Gibraltar cannot be carried out from the sofa but with training. Work and training are not to be negotiated. This does not mean that training is equal to suffering, then you have not chosen the correct sport or challenge, but to consider it as something normal and as an effort to be made in order to grow. Do you feel exhausted when you finish? It is fine as long as you can recover after a proper rest. Do you feel sick with sea water? It is perfectly normal as we are not sea creatures, we can stand it for a while but hours later we all feel swollen and with a dry mouth. Do you get seasick? It is normal too, I also got seasick and I still take tablets for seasickness during crossings. Have you been throwing up? Have you been stung by a jellyfish? It is normal, all that is perfectly normal and you have to consider it that way. Only with that perspective you will play it down and you will manage to focus on enjoying swimming in such a wonderful place. 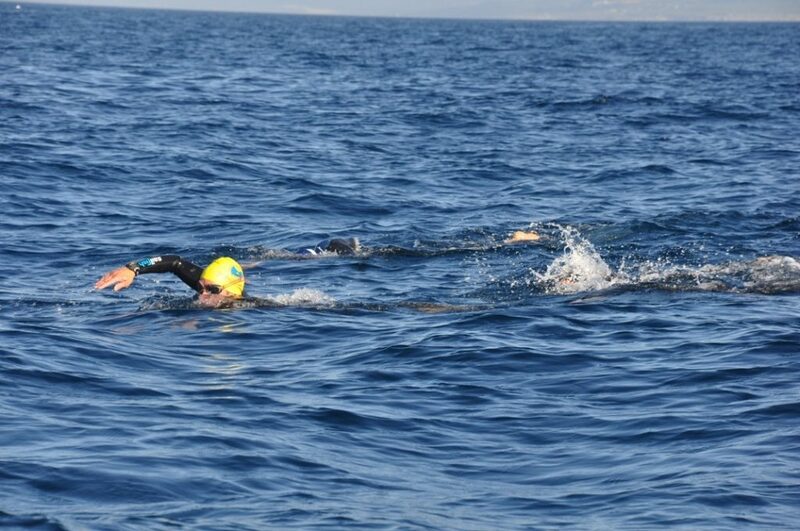 Physical train to swim across the Straits of Gibraltar depends a lot on the type of swimmer you are. As it is something so important for you and as you would like it to be special, prepare yourself for at least one year. All you can do during that time will be a way to achieve your goal, swimming across Europe and Africa. Chema, we are delighted to have such a conscientious sportsman like you, who considers sport challenges as a philosophy of life. It is really gratifying that our work is part of such an exceptional curriculum as yours. If you would like to know even further about Chema, please visit www.marsalado.com where you can find several articles writer by him as well as useful tips to succeed in this sport. 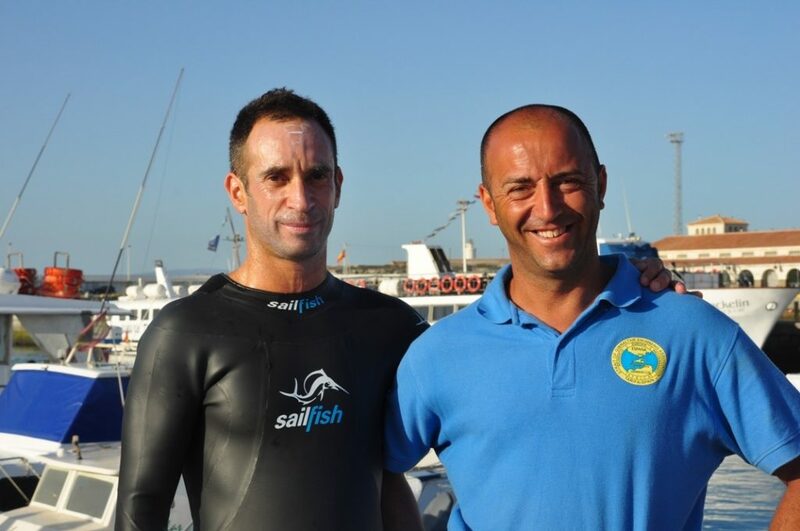 The Strait of Gibraltar is not just a place for experienced swimmers such as Chema. If you are keen on swimming you can also make a space for yourself provided that you are willing to train and for long, and most of all, if you really feel like doing it as Luis Fernando Sebastián de Erice Malo de Molina and the siblings Ivan Postigo Imaz, Marco Postigo Imaz and Jorge Postigo Imaz who swam across the Strait on behalf of AECC (Spanish Association for Cancer). They tell us about their experience in the following video which can help you find the motivation for this great adventure. 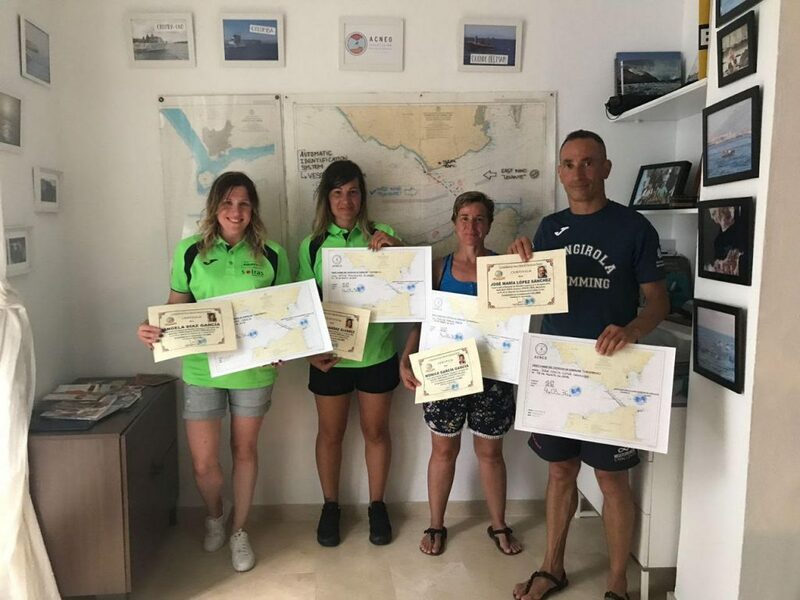 We hope that after reading this article you have cleared up your mind and that each of the stories on this blog can help you make a decision and take the plunge to swim the Strait of Gibraltar. This is a great and very challenging experience that at the same time will turn into one of the best ones in your life.